GET 2.9% APR FINANCING FOR UP TO 60 MONTHS ON ALL NEW 2017 & 2018 MODELS AT SIERRA BMW! OFFER ENDS 06/30/2018. • ALL 2017 MODELS AND SELECT 2018 MODELS - GET 2.9% APR FINANCING FOR UP TO 60 MONTHS OR BMW CUSTOMER PURCHASE CREDIT UP TO $2000! OFFER ENDS 06/30/2018. • CONQUEST CREDIT OF $750* IN ADDITION TO CURRENT INCENTIVES - current owners of non-BMW Motorcycles, who take delivery of a new, unsold BMW Motorcycle between 06/01/2018 and 06/30/2018. * Some restrictions may apply. Excludes Authority, Auction and Fleet models. • RECEIVE $2000 OFF OR 2.9% APR FINANCING FOR UP TO 60 MONTHS WITH THE PURCHASE OF ANY 2018 BMW K1600GTL through 06/30/2018. Ask your salesperson for details. • RECEIVE $1000 OFF OR 2.9% APR FINANCING FOR UP TO 60 MONTHS WITH THE PURCHASE OF ANY 2018 BMW S1000RR through 06/30/2018. Ask your salesperson for details. • RECEIVE $1000 OFF OR 2.9% APR FINANCING FOR UP TO 60 MONTHS WITH THE PURCHASE OF ANY 2018 BMW RnineT Pure, Racer, or Urban GS through 06/30/2018. Ask your salesperson for details. 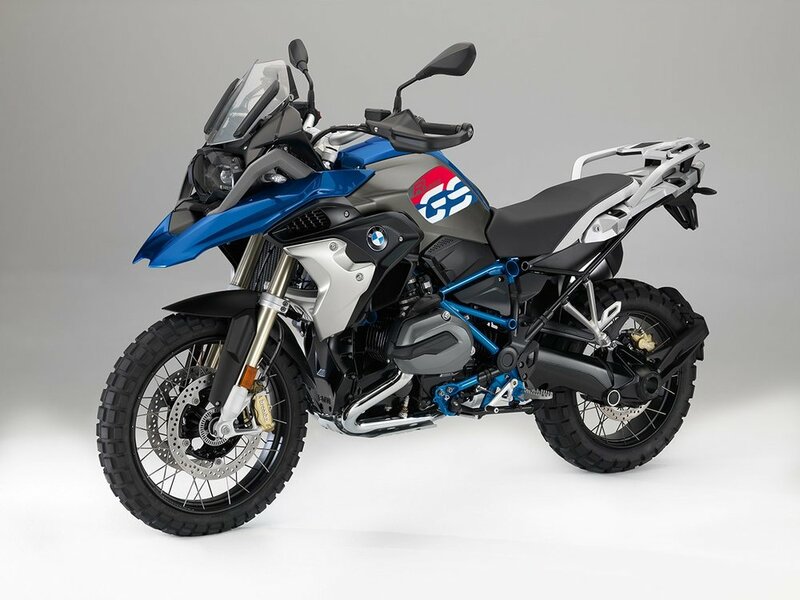 • RECEIVE $1000 OFF OR 2.9% APR FINANCING FOR UP TO 60 MONTHS 2018 BMW R1200GS OR R1200GSA through 06/30/2018. Ask your salesperson for details. • RECEIVE $1000 OFF OR 2.9% APR FINANCING FOR UP TO 60 MONTHS WITH THE PURCHASE OF ANY 2018 BMW R1200RT through 06/30/2018. Ask your salesperson for details. • RECEIVE $1000 OFF OR 2.9% APR FINANCING FOR UP TO 60 MONTHS WITH THE PURCHASE OF ANY 2017 BMW F700GS through 06/30/2018. Ask your salesperson for details. • RECEIVE $2000 OFF OR 2.9% APR FINANCING FOR UP TO 60 MONTHS WITH THE PURCHASE OF ANY 2017 BMW F800GSA through 06/30/2018. Ask your salesperson for details. • RECEIVE $1500 OFF OR 2.9% APR FINANCING FOR UP TO 60 MONTHS WITH THE PURCHASE OF ANY 2017 BMW S1000R through 06/30/2018. Ask your salesperson for details. • RECEIVE $1250 OFF OR 2.9% APR FINANCING FOR UP TO 60 MONTHS WITH THE PURCHASE OF ANY 2017 RnineT PURE Model through 06/30/2018. Ask your salesperson for details. • RIDE SMART REWARD MSF PROGRAM # - Receive $500 in BMW Rider's Apparel with the purchase of a new BMW Motorcycle. Offer ends 12/31/2018. • ZERO DOWN available on any new model standard rate finance deal OAC! • Ask about BMW FS 90 days until first payment options! • Ask about BMW Motorrad, BMW Car Club, Law Enforcement, Emergency Services, MSF Instructor, & Active Military Specials for 2018. GET UP TO $750 CASH BACK DIRECTLY FROM BMW! Offer ends 12/31/2018. % All Sierra BMW Motorcycle New and Pre-Owned Motorcycle Inventory is 50-State Street-Legal; New Beta RR-S Dual-Sport Models are 50-State Legal. * LIMITED TO SIERRA BMW CUSTOMERS ONLY. SPECIAL FINANCE RATES AND TERMS ARE SUBJECT TO CREDIT APPROVAL AND CREDIT SCORE. ALL TERMS OAC 24-60 MONTHS ONLY. SOME RESTRICTIONS MAY APPLY. WHILE SUPPLIES LAST. NEW BIKE PURCHASE FROM SIERRA BMW REQUIRED. OFFER ENDS 06/30/2018. ** Certain restrictions apply. Subject to credit approval. Offer only valid on contracts assigned to BMW Bank of North America, BMW Financial Services. 36 month minimum contract required. Credit applications must be submitted by 7:00 pm PST on 06/30/2018. Offer limited to select models. Offer based on availability, dealer stock may vary. ***Active members include active duty (including activated Reservists) of the U.S. Air force, Army, Navy, Marines, National Guard, Coast Guard, Veterans Administration and those who have recently finished active service (within 6 months) with a current military identification card or are a key military contractor. A copy of Department of Defense form 214 may be necessary for those who recently have been discharged from active service. OFFER ENDS 12/31/2018. # Purchasers are eligible for one (1) "Ride Smart Reward" MSF incentive during the program period (January 1, 2018 through December 31, 2018). The "Ride Smart Reward" must be original BMW Riders’ Apparel such as boots, gloves, jackets, etc. from the BMW MOTORRAD RIDE catalogue. This incentive will not be paid for the sale of aftermarket products. Applicant must have received their MSF Basic RiderCourse (BRC) certificate within 90 days prior to the new motorcycle purchase. May not be combined with other special purchase programs. * May not be combined with Military, Emergency Services, Ride Smart Reward, MSF RiderCoach, BMW Group / Center Employee or Valued Vendor Purchase Programs. © 1999-2018 BMW Motorrad USA, a division of BMW of North America, LLC. The BMW name and logo are registered trademarks. Sierra Motorcycles, Inc., DBA Sierra BMW Motorcycle.